Wherever you are on the “call to ministry” spectrum, here are five questions you need to answer. 1. Do I Want to Make Disciples and Make Much of Jesus? You might have a library-load of reasons why you think should be in vocational ministry—but if you don’t have the right reason, you are treading on unholy ground. A lot of people join the ministry for all the wrong reasons. You don’t become a pastor to make friends. You don’t become a foreign missionary to ease your conscience. And you don’t plant a church for the praise of self. Ministry happens for one two-pronged reason: I want to make disciples and make much of Jesus of Nazareth. Pats on the back are fleeting. Disciple making is eternal. Don’t join the ministry to make Mama and Daddy proud. Do it for the Kingdom of Heaven. Real ministry is all about Jesus, and making disciples of Jesus. Gospel ministry is a self-explanatory term—it’s all about preaching the gospel and making disciples (Acts 14:21). Student Ministry, Kids Ministry, etc., must be about making disciples and making much of our Galilean King of Kings. If not—it’s no longer Christian. Ask why you want to be in ministry. Desiring ministry is good thing (1 Timothy 3:1), as long as your aim is the fame of Jesus Christ—which, you know, is the Great Commission (Matthew 28:18–20). Rest assured, Jesus isn’t commissioning you for anything different. Back in my college ministry days, a guy came up to me and said he felt called to preach. I asked him, “Is anyone calling you to preach?” Cue the crickets. “Are you teaching anywhere right now?” The crickets began to preach. The calling question is a vital element. You might feel called to vocational ministry, but, believe it or not, you could be wrong. One way to reinforce your calling is by seeing if anyone is calling you. 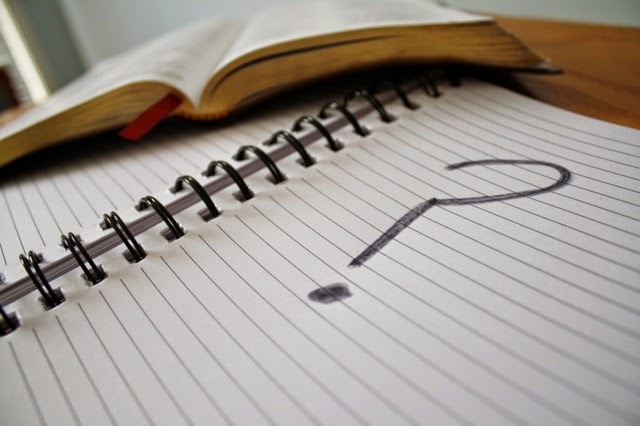 Is your church asking you to teach? Are they asking you to serve more and more? Are God’s people already asking you to serve? Your feelings don’t matter. Feelings are fickle. And a call to ministry is like a burning bush. Moses knew his calling was sure because God called him, he had a mission, and he had a people to serve. If the Holy Spirit is calling you out (Acts 20:28), what is your mission, and who is it for? 3. What Are My Gifts? Someone who is good at entertaining middle schoolers doesn’t equal a student minister. A golden smile, a firm handshake, and a preacher voice cooked in a seminary oven won’t yield a pastor. The Holy Spirit of our risen Christ, his power and the gifts he gives, is what makes a minister. There is no doubt that the Lord can (and does) use our natural brain power and people skills, but if we are going up against the dark powers of the age—and I don’t mean cable television—we need supernatural, make-a-nuke-jealous power: The Holy Spirit (Acts 1:8). If you are in Christ, his Spirit is rumbling inside of you, gifting you, ready to exalt the name of Jesus. So, how has Jesus gifted you to exalt his name? That’s what spiritual gifts do. “As each has received a gift, use it to serve one another, as good stewards of God’s varied grace: whoever speaks, as one who speaks oracles of God; whoever serves, as one who serves by the strength that God supplies—in order that in everything God may be glorified through Jesus Christ. To him belong glory and dominion forever and ever. Amen”(1 Peter 4:10–11 ESV). A great way to discover your spiritual gifts is by serving in many different ways. (Tweet This) Serve in varied ways, see where fruit pops up, and ask others about your gifting. Timothy’s gifting, even at a young age, was obvious to those around him, so much that Paul called him to join his church planting team (Acts 16:1–5, 1 Timothy 4:14–15). What are those around you noticing? Ask them. They might see your gifting before you do. And they might even encourage you in the midst of discouragement. 4. Am I committed to a local church? The Apostle Paul’s vision for ministry is one that builds up the body of Christ. Jesus gives us spiritual gifts for the good of his church. “And he gave the apostles, the prophets, the evangelists, the shepherds and teachers, to equip the saints for the work of ministry, for building up the body of Christ, until we all attain to the unity of the faith and of the knowledge of the Son of God, to mature manhood, to the measure of the stature of the fullness of Christ” (Ephesians 4:11–13 ESV). A calling to ministry should fly in tandem with a love for Christ’s church. (Tweet This) You won’t be preaching to a blob of people—that’s Christ’s bride, and you are there to build her up. Are you presently committed to building up Christ’s church? Are you committed to an actual local church (Hebrews 10:24–25)? Do you serve there (1 Peter 4:10)? Do you generously give for the work of the gospel there (2 Corinthians 9:7; Galatians 6:6–10)? Do you pray for your pastors and leaders (1 Thessalonians 5:25)? Do you submit to spiritual authority (Hebrews 13:17)? Like Paul and Barnabas, you want identification and affirmation from the leaders of your local church (Acts 13:1–3). 5. Am I ready to wait?